Claire North wins the World Fantasy Award! The winners of the 2017 World Fantasy Awards were announced last night — including THE SUDDEN APPEARANCE OF HOPE (Redhook US | Orbit UK | Orbit ANZ), by Orbit’s own Claire North! Congratulations to all of the winners and nominees. You can see the full list here. If you’re new to North’s work, also be sure to check out THE END OF THE DAY (US | UK | ANZ), TOUCH (US | UK | ANZ), and THE FIRST FIFTEEN LIVES OF HARRY AUGUST (US | UK | ANZ). 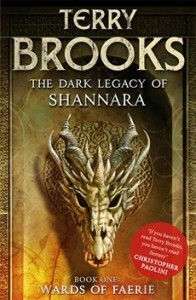 Congratulations go, too, to Terry Brooks, who was awarded the Lifetime Achievement Award at the World Fantasy Convention this weekend. His most recent book is THE BLACK ELFSTONE (UK). 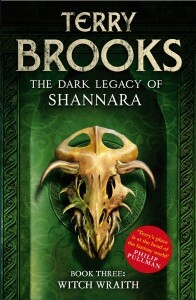 A whole new generation of Shannara is coming. 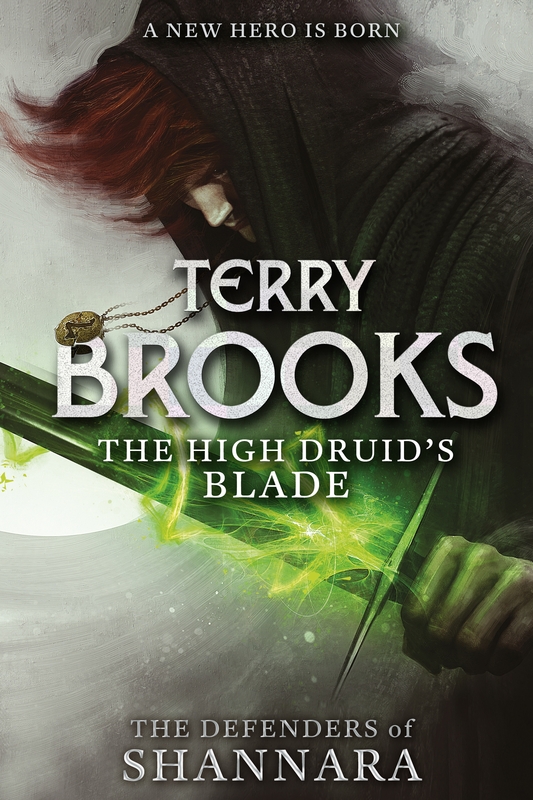 We know many of you have been waiting eagerly for the newest Terry Brooks Shannara novel, THE HIGH DRUID’S BLADE to hit shops, and next week the wait will finally be over. A standalone set in Terry’s wildly popular Shannara world, this story follows Paxon Leah leading a quiet life – until extraordinary circumstances overturn his simple world . . . and rewrite his destiny. 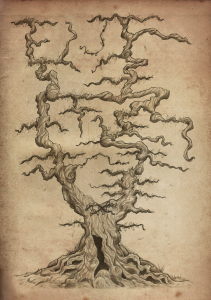 To celebrate this new generation added to the story of Shannara, we thought we’d make something special to show the great history from which this legend has come. 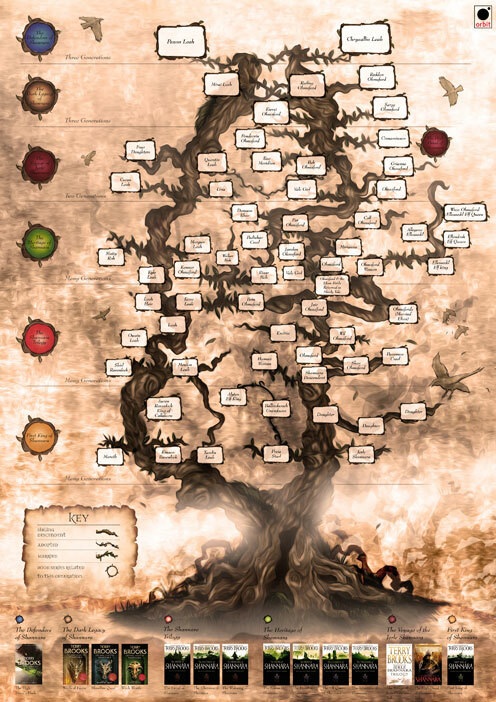 It’s only for rough now, but we’re in the process of designing a family tree to show the Ohmsford lineage, and how Terry Brook’s stories have captured an entire world’s history, generation after generation. The full tree – in colour – will be available to win as a print next week to coincide with publication of THE HIGH DRUID’S BLADE. We can’t wait for you to see the final product! 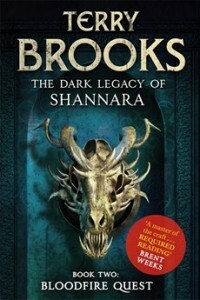 It’s going to be a must-have for all Shannara fans, old and new. 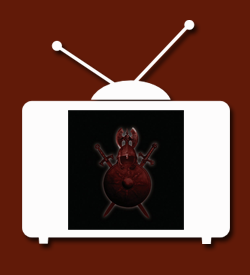 Today we digitally release UNFETTERED: TALES BY MASTERS OF FANTASY.